With releases on Kompakt, Permanent Vacation, Eskimo and !K7, Steve Moore aka Zombi, aka Gianni Rossi, and now Lovelock is a man whose sound is beginning to permeate the ether wherever we go. 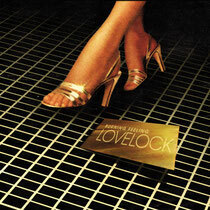 Lovelock is big ‘80s production, infected discoid power pop, the kind of which would fit perfectly into the neon lit backdrop of stylish late-70s film noir. “A brilliant and ballsy high gloss album” say Germany’s Groove Magazine and a serious comment on the current trend of 1980s music as heard in soundtracks to films like “Drive”. Though his analogue cascades can approach prog-rock levels of complexity normally explored by his groundbreaking duo Zombi over the past decade, Moore’s affinity for smart pop melody and growing Italo-dancefloor sensibilities keep him out of any such stylistic ghetto. In fact, he has become a sought-after remix artist both under his own name and the Lovelock moniker in recent years, placing a club-ready stamp on tracks by Sally Shapiro (‘Save Your Love’, Paper Bag Records, 2010), Camille (‘Home is Where it Hurts’, Virgin/EMI, 2008), as well as recent singles by Washed Out and Brahms. Lovelock has also been tapped by artists far outside the dance-pop idiom: he’s converted tunes by the Melvins, Genghis Tron, and Voivod into raucous, glam rock stomps and driving, Miami Vice chase-scene soundtracks. His original work – under both aliases – has found its way onto full-length releases (2007’s ‘The Henge’, Relapse), and on compilations assembled by Eskimo Records (‘Cosmic Balearic Beats, Vol. I’, 2008) and Chromeo (‘DJ Kicks’, 2009). Moore has released original material on the Mexican Summer and Kompakt labels and released Gianni Rossi - 'Star Vehicle: Original Motion Picture Score' limited LP on Munich’s Permanent Vacation. Now it’s time for the full-length Lovelock release, ‘Burning Feeling’. The needle drops and a hyper-reality assembles itself suddenly before the mind’s eye. Polygonal structures accented with clean neon lines; computerized sequences firing with precision and synchronicity under a polished surface. These are the futuristic vistas conjured by the music of multi-instrumentalist Steve Moore. He is the rare, balanced electronic pop composer whose work is at once visionary and hopelessly nostalgic for the music of his youth: late-70s AM gold and that ubiquitous, synthesizer-driven pulse appropriated by everyone from New Romantics to prime-time TV theme songs throughout the 1980s. The album is preceded by the single ‘Maybe Tonight’ featuring edits from Morgan Geist (INTLL1). Out 26th April on Internasjonal.